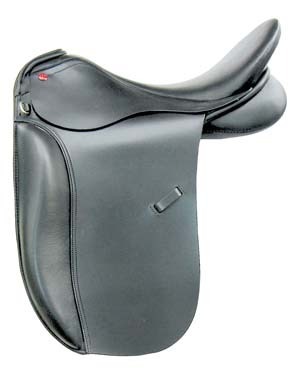 13" seat with built in handle bar. 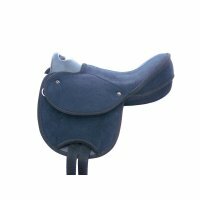 Saddle is black ultra suede for grippy feel. 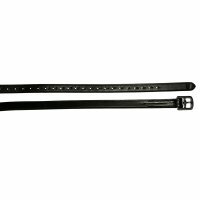 Features hooks for stirrup leathers and irons. 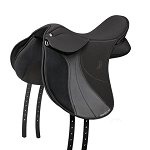 Comes in Med/Wide tree only. 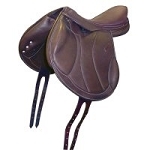 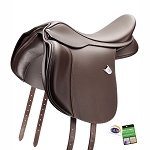 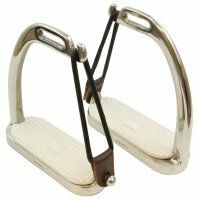 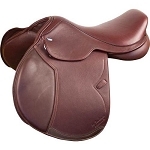 You can add on Legacy triple stitched leather stirrup leathers (39.95) in child size 36" and/or child's Stainless Steel Peacock Safety Stirrups (39.95) in sizes 3.5" or 4" foot tread.